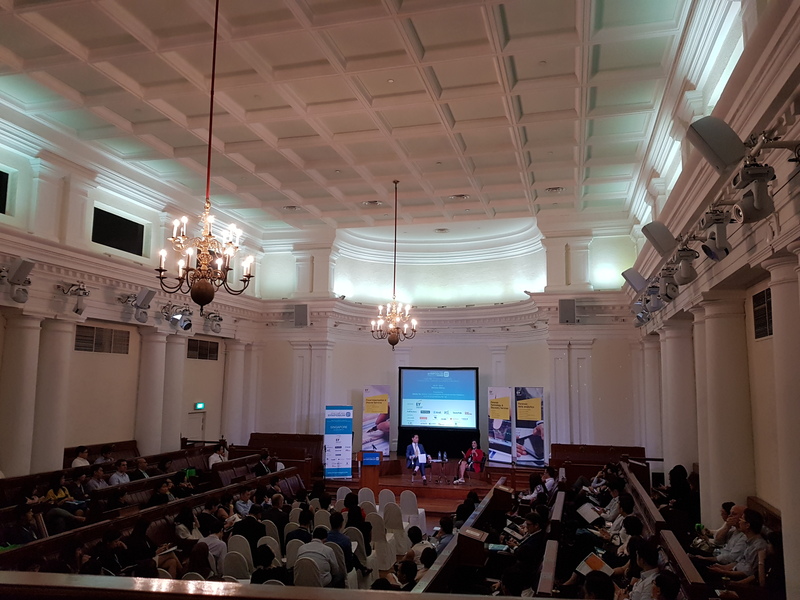 I had the opportunity recently to attend an event held at The Arts House Singapore and my interest in the venue itself was sufficiently piqued that I felt like writing about the place. 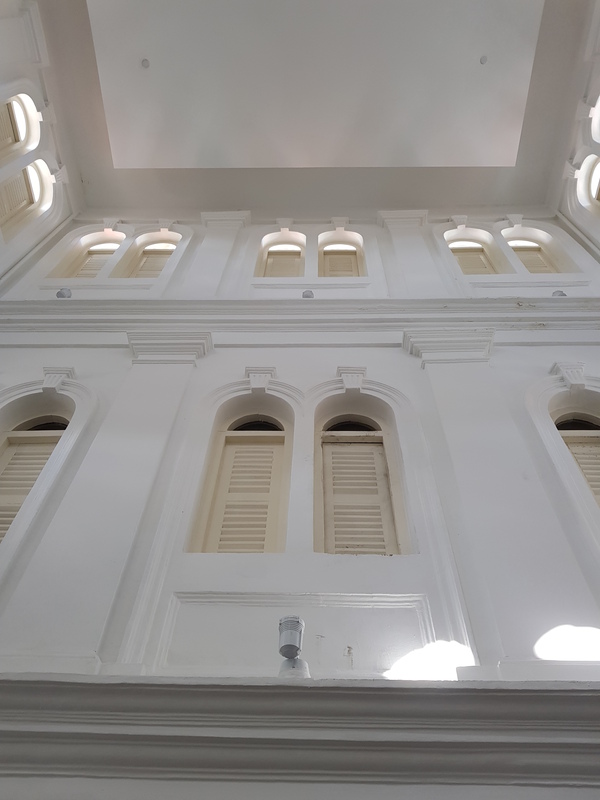 This is, first and foremost, a really old building that has been well preserved and now has a new lease of life as an Arts venue. 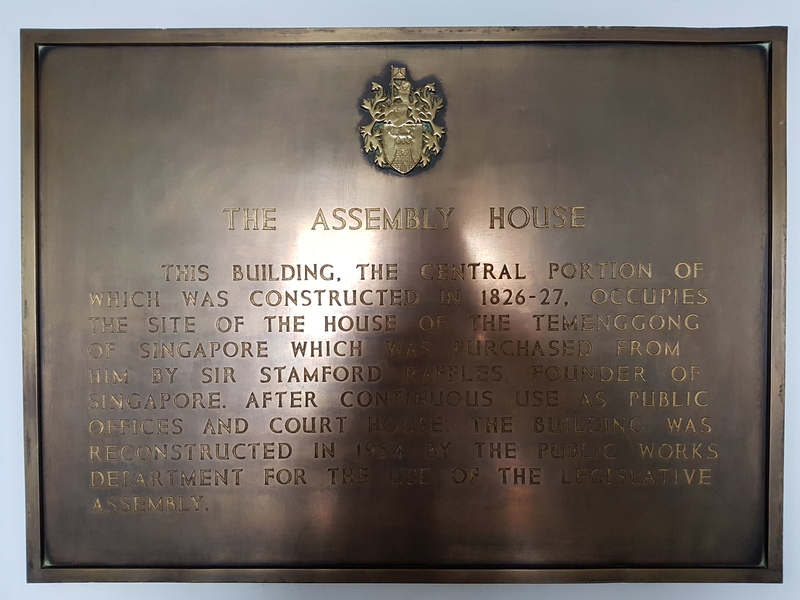 When I first set foot inside the building, my imagination immediately supplied scenes of colonials meeting to discuss ways of managing the far flung lands of the British empire and that was not far off the mark as a quick Wikipedia search informed me that this was previously a Court of the English Law. 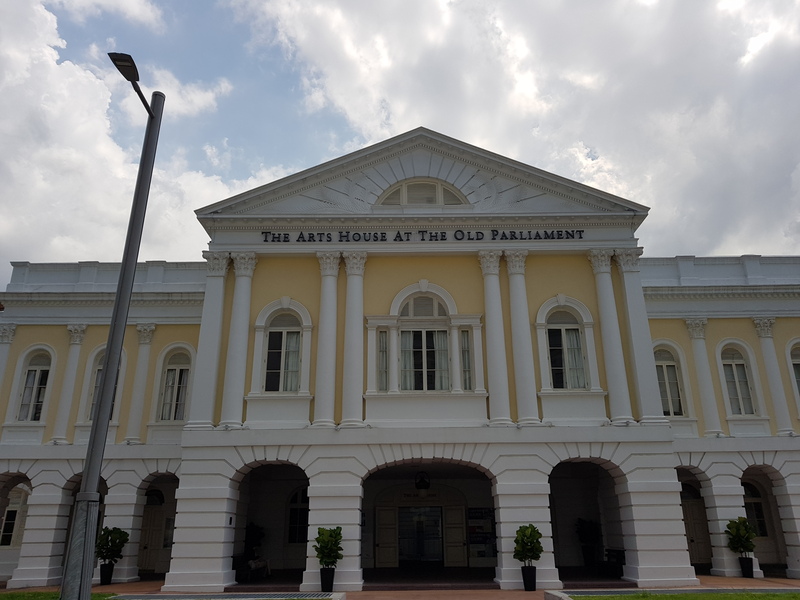 The Chamber at the Arts House was once the venue for Singapore’s first Parliament and its design was reportedly modelled on the British Parliament, Westminster style. With my love of historical buildings, it really felt like there would be English Lords and Peers impeccably dressed in suits and canes with cigars wandering around the halls. Sadly that was not to be – I only saw salaried workers at the event I was at. 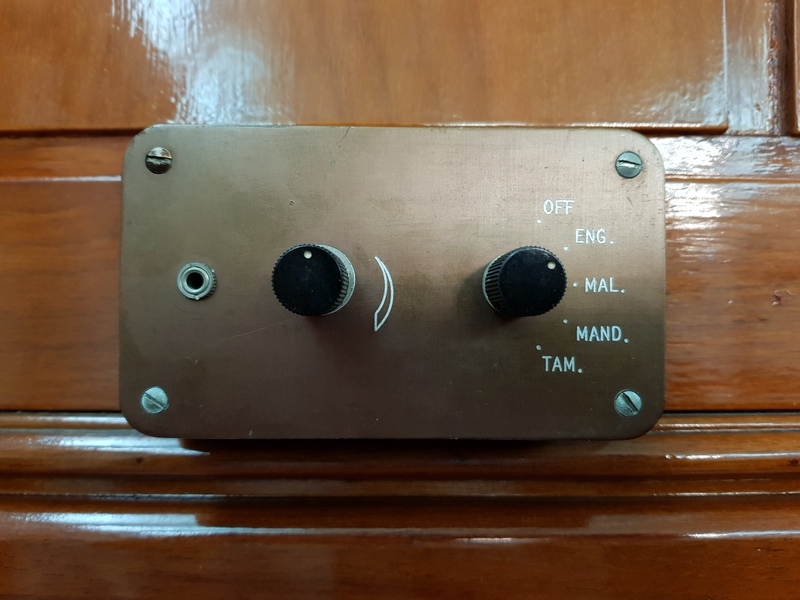 An interesting piece of history at every seat in the Chamber – instant translation services into all the local languages for the ministers even back then. Another interesting fact was that the seating in the Chamber is the original seating that was installed in the 1950s. 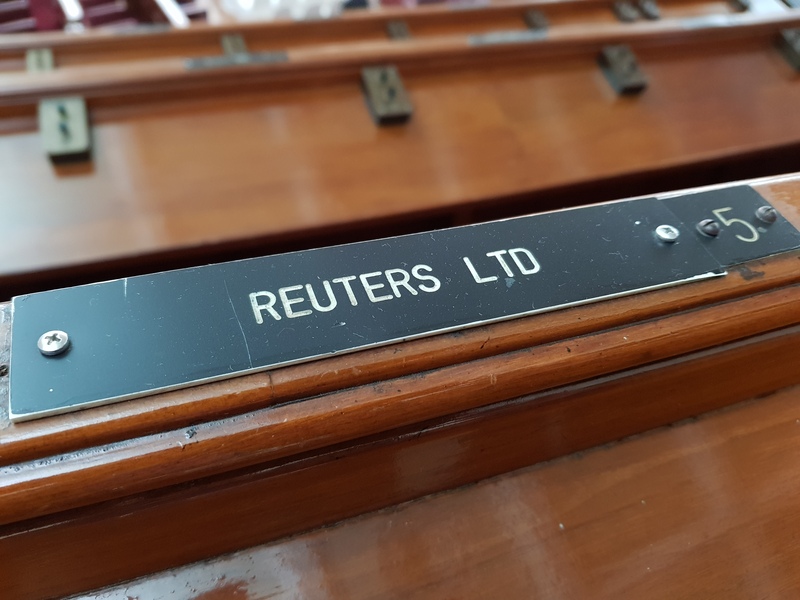 Seating in the upper gallery with table tops for reporters – all neatly labeled so that you know who’s writing for which publication. Other points about the Arts House that I loved are the high ceilings and hardwood floors. It all adds up to a very old school type of glamour and feel that one usually sees in films or if you are old enough, you may have experienced it by living in that era. 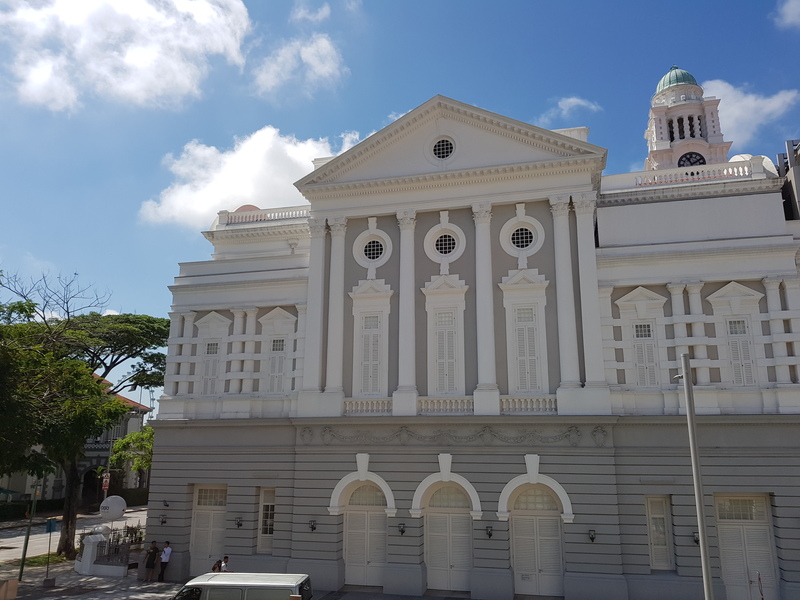 If you would like to experience a slice of Singapore’s history, the Arts House is open for viewing from 10am. I’ll end this post with a semi-related photo of the Victoria Theatre, which is just across from The Arts House. Fancy a walk around Yeouido to visit Korean broadcasting stations (KBS, MBC)?